Looking for a new Cranchi ? See the newest Cranchis available. Cranchi was originally set up on the shore of Lake Como in Italy in 1866. Now the company is a well known producer of luxury motorboats. 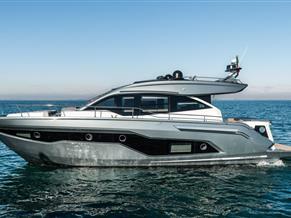 The boats are renowned for their highly attractive Italian design and styling. Cranchi make a wide variety of motorboats and you will find many excellent examples of them listed here including the Giada, Endurance, Smeraldo, Mediterranee, and Atlantique plus many more. So if you are looking for a Cranchi motorboat for sale you have come to the right place. Take a look at all of the fantastic Cranchi boats for sale here.